Good news for our awesome publishers! Our goal is to improve your social sharing and following experience, so we keep developing and updating our services. Since E-MAILiT was the first sharing platform that supported Viber (http://blog.e-mailit.com/2015/08/the-new-global-mobile-optimized-sharing.html), we are now pleased to announce that we are the first who give you the opportunity to share content to Skype and Telegram Messenger with E-MAILiT Share Buttons! Skype is one of the most popular communication apps with more than 300 million active users and 1.4 trillion minutes on video and voice calls! 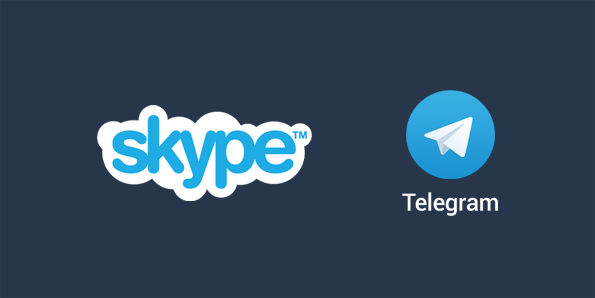 Telegram is a cloud-based mobile and desktop messaging app with a focus on security and speed. Telegram is supported by Pavel (founder of the Russian social network VKontakte) and Nikolai Durov. Furthermore, we enriched our After Share Promo feature and we have added much more Following Services. You can now increase your followers on 27 Following Channels!